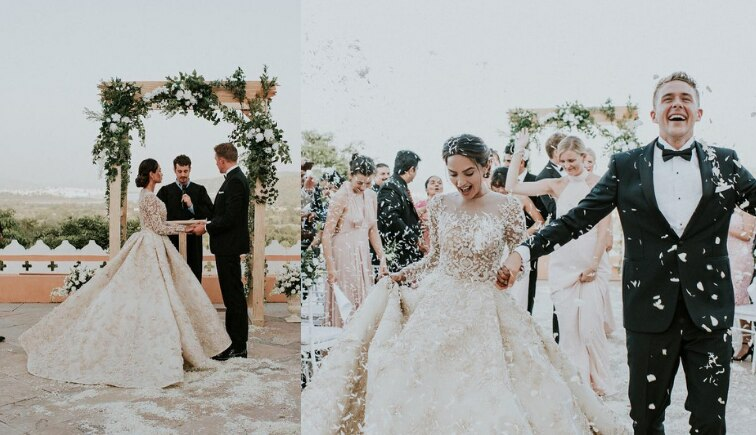 Instagram influencer, Diipa Khosla tied the knot with Dutch diplomat Oleg E.H. Büller in a breathtaking ceremony in Udaipur. 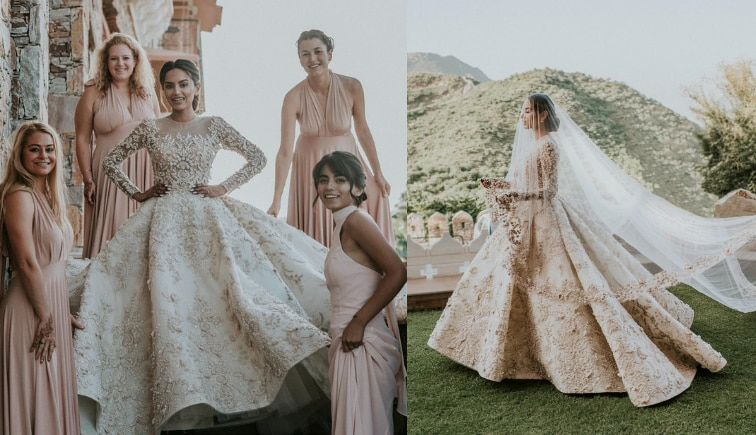 When a fashion influencer ties the knot, you can definitely expect a lot of fashion inspiration but Diipa Khosla's wedding was more than that. It was about two completely different cultures coming together to celebrate a union of love. 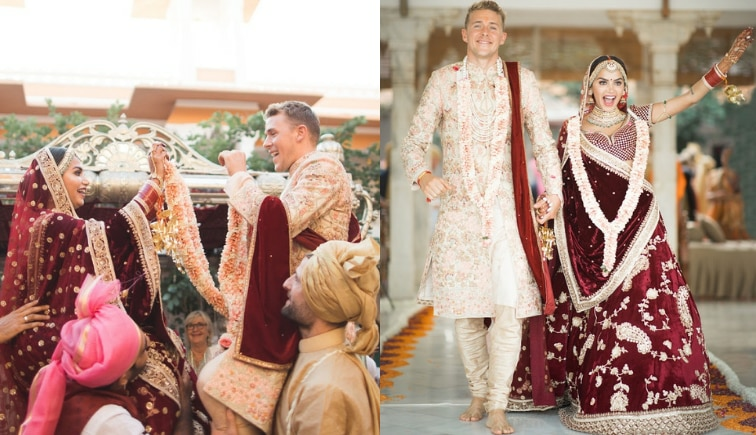 The wedding comprised of quintessential Indian functions - haldi, mehendi, sangeet, and the wedding ceremony, and Hotel Fateh Garh in Udaipur served as the perfect backdrop for this intimate yet royal wedding. 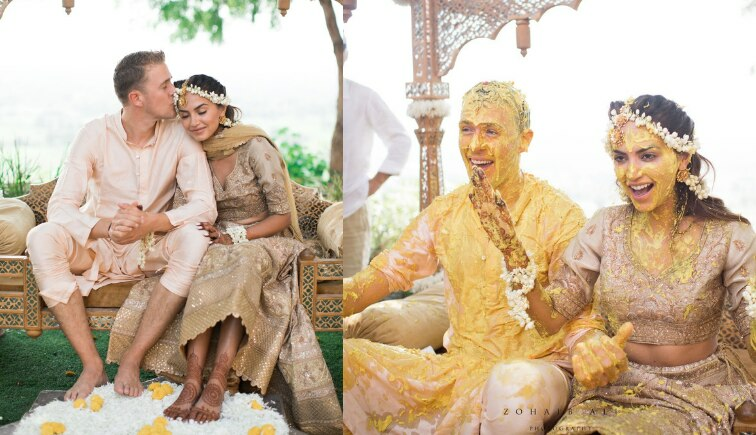 The couple also had a European wedding afterward- now isn't this a perfect mix of both the cultures? 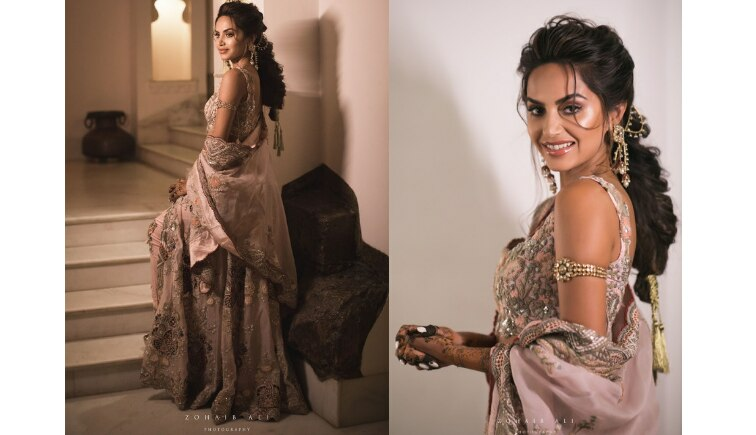 For the day time mehendi soiree, Diipa kept it elegant in a printed Sabyasachi sari and Amrapali jewellery while Oleg looked regal in a Varun Bahl sherwani. For the sangeet that was held in the evening, Diipa kept it glamorous in a custom Anamika Khanna outfit and Amrapali jewellery. The bride chose a gold Ritu Kumar lehenga, and Amrapali mangtikka and earrings and floral jewellery for the haldi ceremony. 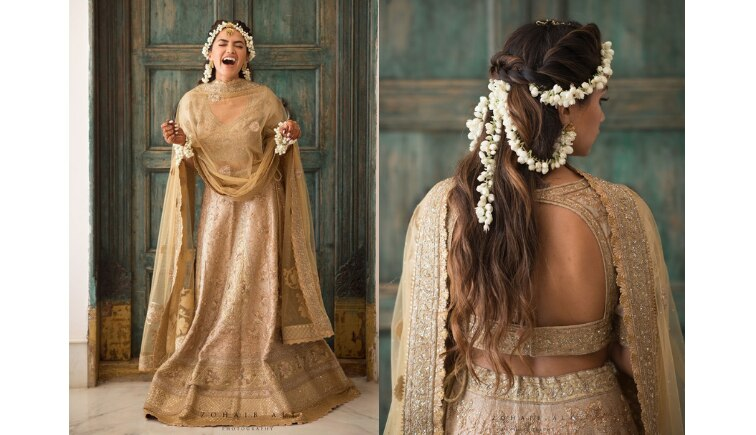 The haldi ceremony was followed by a chooda ceremony for which the bride went for a printed lehenga by Mani Jassal and polki jewellery by Amrapali. 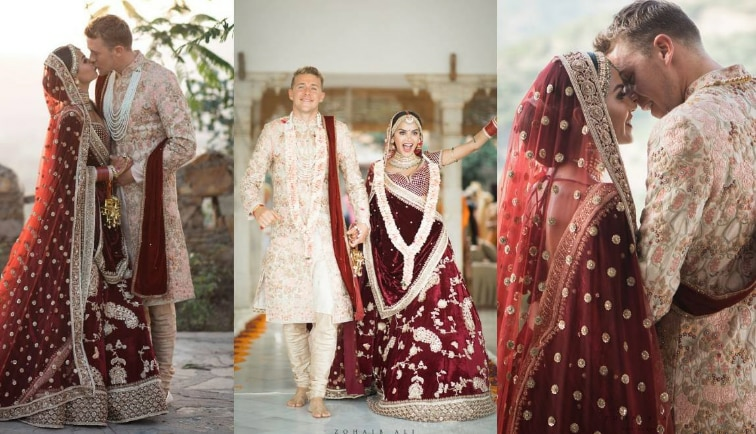 For the wedding, Diipa kept it traditional in a red ornate Sabyasachi lehenga and Amrapali Jewels while Oleg chose a Varun Bahl sherwani. In a heartfelt post, Diipa shared that during the ceremony Oleg also touched her feet as a sign of mutual love and respect, and treating each other as equals - which is the foundation for any marriage. For the evening reception, Diipa chose a Faraz Manan outfit and Jaipur Gems jewellery. 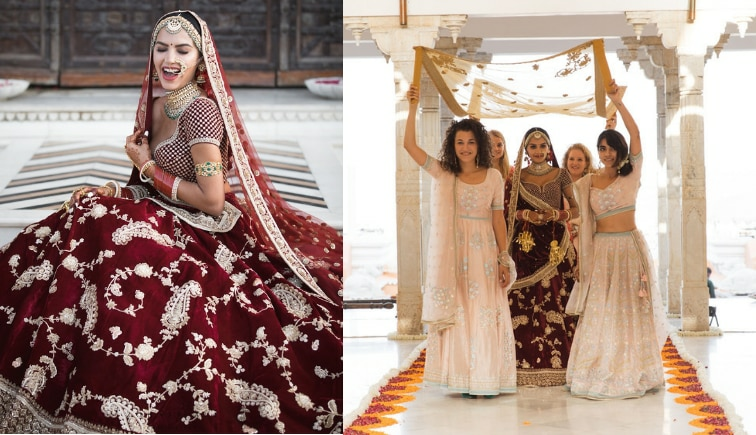 The couple also took their vows in a traditional European ceremony for which she chose a custom-made gown by Ashi Studio embroidered with motifs from Indian culture. We wish the couple a blissful married life ahead!